Lenovo has announced the launch of its new mid-ranger, the S5. The S5 features a 5.7-inch FHD+ display, a 13 MP + 13 MP dual rear camera setup, a Snapdragon 625, 3000 mAh battery, and USB Type-C. All of that at a price point just above US$150 makes the device an extremely attractive proposition. Lenovo is one of the biggest Chinese smartphone brands. The company has a penchant for offering high-value budget smartphones, especially as it looks to have more of a presence in the Indian market. 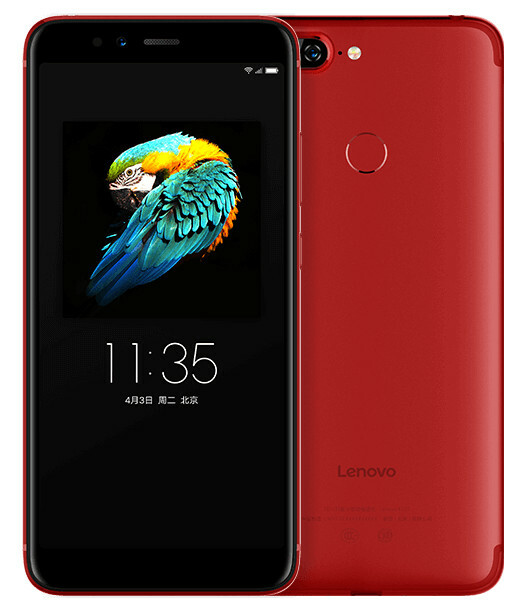 The Chinese OEM has released yet another budget device in the form of the Lenovo S5, and it looks to be quite the attractive offer. The S5 features a 5.7-inch FHD+ display. The rise of 18:9 devices has seen most phone go the large route with 6-inch displays, so this is a breath of fresh air for those who prefer smaller devices. An 18:9 5.7-inch device has a similar feel to a 16:9 5.2-inch one. While its display ratio is modern, the device does sport some rather sizeable bezels, especially at the bottom. That puts the device's entire length at 154mm. The 5.93-inch Honor 7X, for example, has a length of 156mm, and that's all you need to extrapolate data on the size of the S5's bezels. Under the hood is the tried and tested Snapdragon 625. It's a fine SoC, albeit slightly outdated, and is enough for most tasks. Camera-wise, it features a dual rear camera setup (13 MP Monochrome + 13 MP RGB, f/2.2), and a 16 MP f/2.0 selfie shooter. Definitely impressive hardware but it remains to be seen if the accompanying software drives it properly. Speaking of software, the S5 runs on the Oreo 8.0-based ZUI 3.7 out of the box. The S5 comes in three variants—3 GB of RAM and 32 GB of storage ($157), 4 GB of RAM and 64 GB of storage ($189), 4 GB of RAM and 128 GB of storage ($236). There's also always the option of expandable storage for those not satisfied with stock storage. A rear fingerprint sensor, USB Type-C, and a 3000 mah battery complete the package. Considering the prices listed, it's impressive what Lenovo has managed to do with this device. The presence of USB Type-C, in particular, will appeal to most. At the US$189 price point, the S5 competes with devices like the incredibly popular Mi A1, and doesn't necessarily come out under.